About the history and role of the sanctuary, the growing animal rights movement in Palestine and their place in the liberation struggle. The Israeli occupation of Palestine is merciless. It cuts a deep scar across the whole of Palestinian life. It affects people, animals and the environment. Children bear some of the most acute trauma from the occupation and have precious little space from which to be sheltered or recover. Daily Hugz, a sanctuary in the West Bank, is one of those spaces. 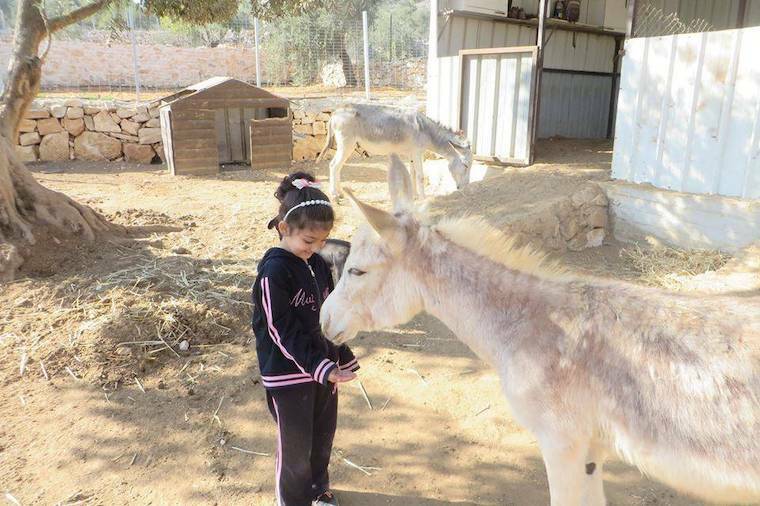 Founded in 2014, it is Palestine’s only sanctuary for donkeys. Along with the dogs in its care, it offers a refuge for young children to interact with animals and nature and experience some sense of respite from the daily brutalities of life under occupation. Founder Maad Abu-Ghazalah spoke with Michael John Addario about the history and role of the sanctuary, the growing animal rights movement in Palestine and their place in the liberation struggle. Maad Abu-Ghazalah was born in Nablus, Plaestine. He moved to the US in 1979 to pursue his education. He earned a master’s degree in computer science from the University of Virginia and a law degree from Santa Clara University Law School, a Jesuit university in California . During that time, he was also president of the Middle Eastern Law Students association and was President of the San Francisco chapter of the American Arab Anti-Discrimination Committee. In 2002 he ran for Congress on a platform opposing foreign intervention and protecting domestic civil liberties, receiving the second highest percentage of votes of any third-party candidate at the time. After several years in business, Maad established Daily Hugz in 2014 with the purchase of an olive grove just outside of his childhood home. 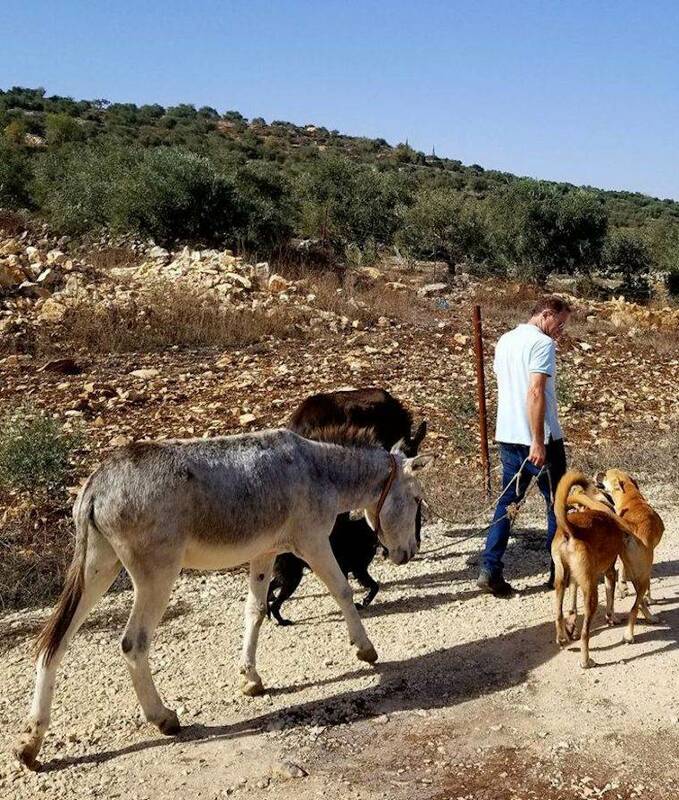 The non-profit sanctuary rescues abused and homeless animals in the West Bank and provides space for children to interact with nature and the animals to deal with the trauma of the Israeli occupation. It is the only sanctuary of its kind in Palestine.